Ten Strawberry Street Whistler Clear Glass Etched Charger Plate 13"
Home > Products > Ten Strawberry Street Whistler Clear Glass Etched Charger Plate 13"
Use the Ten Strawberry Street Whistler Clear Glass Etched Charger Plate 13" to give your table setting an upscale makeover. 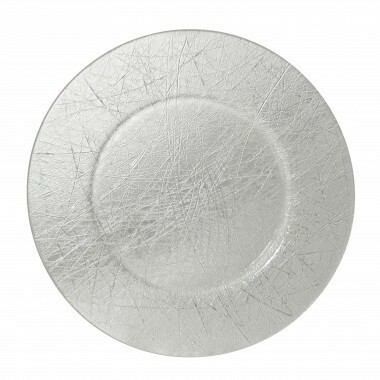 Accented with a whistler-style etching, this product adds a textured look to any decor while beautifully framing dinnerware. Perfect for wedding receptions and formal affairs, this piece is not only for decorating tabletops but also provides protection from spills and mess. Made from premium quality glass, this food safe charger boasts superior craftsmanship and unbeatable durability. This charger plate should be hand washed only to keep in excellent condition.